What is the most dangerous thing you've ever done for fun? JJ: In my 20s, I was a licensed skydiver. I would still be a licensed skydiver if it weren’t for the fact that my partner and I moved away from our dropzone (and he’s a doctor now, so he has no time for anything). I’ve fractured a pelvic bone, landed in a golf course, and dislocated my shoulder during jumps, but I’ll do it again in a heartbeat. JJ: Book-wise, definitely Anne Shirley and Gilbert Blythe, but to be honest, my ultimate OTP is (still) Mulder and Scully from The X-Files. Do you watch anime or read manga? And if so, what are some of your favorites? JJ: I used to watch a lot more anime and read a lot more manga in high school, and I’m unfortunately kind of out of it in terms of what’s out and what’s popular. But my favorites then were Sailor Moon (both the show and the manga), Fullmetal Alchemist, The Vision of Escaflowne, Magic Knights Rayearth (the manga), and Fushigi Yuugi (also the manga). What would make you DNF (or not finish) a book? JJ: There wasn’t a defining moment, necessarily; it was more like an accumulation of an entire lifetime of storytelling. For most of my childhood, I was an only child with two parents who worked full-time. I spent a lot of time left to my own devices, and in order to keep myself occupied, I liked to play pretend. I would create all sorts of imaginary worlds and characters and storylines, most often inspired by the books I read. After a while, I started writing them down. I also wrote a lot of creative fiction for school—school plays, short stories, skits, etc. I was always thought of as “the writer” in my school years, and I think I subconsciously carried that with me into adulthood. Beyond your own work (of course), what is your all-time favorite book and why? And what is your favorite book outside of your genre? Favorite retelling? JJ: My all-time favorite book is The Golden Compass by Philip Pullman. I think it’s partially because I first read it at the right time in my life (I was eleven, Lyra’s age), but also because it’s a book that has aged with me. I’ve always loved the coming-of-age narrative, and Pullman takes the concept of growing up and makes it literal in ways that amaze and astound me. I suppose my genre is YA fantasy, so the opposite of that would be…adult contemporary? I don’t know if I have a favorite, but I thoroughly enjoyed Robert Galbraith’s Cormoran Strike novels, which are the adult mystery/thrillers written by J. K. Rowling. My favorite retelling is Beauty by Robin McKinley. Again, I think it’s because read this book at the exact right time in my life, but every time I read it, it gives me the warm fuzzies. If you could be any character in your novel who would you be and why? What fictional character (that is not your own!) do you personally identify with and, why? JJ: I’m not sure I would want to be any character in my novel, as they lived in late 18th century Bavaria and I like 21st century conveniences like indoor plumbing and modern healthcare. But if I had to pick, probably Thistle. I kind of am a prickly hobgoblin in real life, to be honest. The fictional character I identify with most is Lyra Silvertongue from Philip Pullman’s His Dark Materials. I love that she is half-feral, savage, and a liar, but also loving, loyal, and compassionate. JJ: Keep a part of yourself for yourself. It’s easy in the age of social media to blur the boundaries between author and work, but I am not my books. I have an entire life beyond writing, and nurturing that is just as important as developing my craft. What songs fit this book and why? Do you play any instruments? Perhaps the violin and klavier (piano) that were so frequented in the story? JJ: I have a playlist that my publisher very kindly put together for me here! One song that fits this book is probably Coming Down by Halsey. Most of my musical study was actually focused on voice, but I play a lot of instruments, and none of them particularly well (anymore). Like a good Asian kid, I’ve taken piano lessons since I was three, but I also learned how to play the flute for band, and taught myself the guitar so I could pretend I was Joni Mitchell. In a pinch, I can play the harp, the drums, and clarinet. No stringed instruments, unfortunately. I would love to learn though! What was your favorite part about writing this book? What was your favorite scene to write? JJ: I loved that I was able to draw on so many things that inspired or influenced me aesthetically as I wrote this book. I love goth stories, Death and the Maiden tropes, Jacques Cocteau movies, Phantom of the Opera, glitter, David Bowie, Mozart, and all of that made it into my book in some form or another. I don’t have a favorite scene, necessarily, but one that was “fun” (in that it was full of personal “Easter eggs”) for me was the first time Liesl crosses the Underground lake and meets the Lorelei. What inspired you to write Wintersong? JJ: The easy answer is, of course, the movie Labyrinth. But Labyrinth is only a small piece; I wrote about the whole thing on my blog. If Wintersong was being turned into a movie, who would you cast for Käthe and the Goblin King? What is your writing process like? Are you a plotter or a pantser? Do you have any specific things you need in order to write? JJ: Chaos. I work a full-time day job as well as co-host a weekly podcast and run Pub(lishing) Crawl, so I feel like I’m constantly scrambling. BUT. My general process is to journal my way through writing. I have a notebook that I treat almost like a critique partner; I have long, rambling conversations with myself about the story, the characters, the emotional characters, and ask myself questions about where things are going. The actual act of writing happens in fits and starts, unfortunately. But journaling is crucial to my process. I am a pantser in that I can’t plan things with too much detail or else I’ll lose the joy of discovery. But I do have a general idea of the story shape before I start writing, as well as inflection points. All the stuff in the middle is one giant question mark though. As for what I need when I write—I am fueled by iced coffee and Twizzlers. 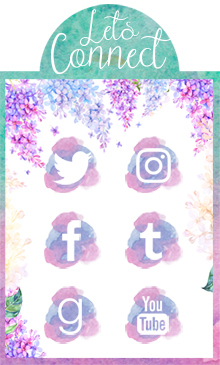 Could you tell us anything about your next project after WINTERSONG? What can we expect from the sequel? JJ: Well…it’s a sequel. :) A direct sequel, and not a companion novel. I’m not sure I can say what you can expect without spoiling things too much, but it will deal with the consequences of the decision Liesl makes at the end of Wintersong. Is there another author you would like to collaborate on a book with? JJ: Any author who can plot better than me, which is most of them, I feel. 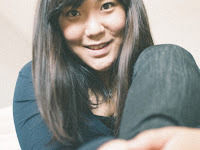 :) I would love to collaborate with Marie Lu, who was one of my earliest critique partners and a good friend of mine. She does action really well, but gets embarrassed by kissy feelings. I do action terribly, but delight in the kissy feelings. I think we could balance each other out. Brittany: I would love to see what you and Marie Lu would come up with together ^_^ Thank you so much, JJ, for being on the blog today! Amazing interview! I'm so excited for this book. It's so awesome that JJ had jumped out of planes haha. I don't think I would be able to. It's funny that the author used a Death and the Maiden quote in the epigraph for the book. When I read Wintersong, it was also the same time I studied this play for English class really in-depth, which provided pretty cool background information for the quote. Really? I didn't know you were taking that kind of class, that's so interesting! I'll have to look more into this. I want to read this book so badly, I pre-ordered it! It is so beautiful & the cover is GORGEOUS! It's just as beautiful on the inside, believe me! Her writing and storytelling abilities are just gorgeous! I can't wait to read this book! Ever since the cover I am dying to read it, I hope I can do it really soon. This book is beautiful from the inside out! And JJ is awesome and I'm glad you got to learn more about her through this interview. You should follow her on Twitter, her tweets are gold haha. Great interview! Yay for Iced Coffee! It is inspiring to see that S. Jae-Jones wrote a book while working a full time job and juggling other projects! I also love that she journals her way through the planning phase, that really sounds fun! I also find it inspiring, it's something that I'm struggling with doing myself so this proves that it can be done, right?! Nice interview! I am really curious about this book and will most likely pick it up at some point. Thank you! I'm glad you enjoyed it. I highly recommend reading Wintersong, it's beautiful, musical, and just amazing. It's sooo good, right? I really enjoyed this one and I'm so glad you enjoyed this interview! Thanks for stopping by! Thank you, I'm glad you enjoyed it! And I hope you love Wintersong as much as I do! This is one of my most anticipated debuts this year and will be reviewing it soon. Great interview! Can't wait to see what you think, I hope you loved it as much as I did! Thank you! This book sounds cool, reminds me a bit about my favorite series, The Malediction trilogy! Definitely one I would recommend to you and everyone really because it's wonderful! 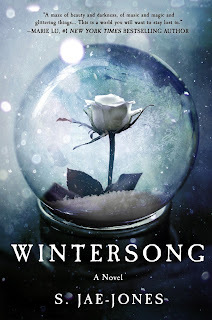 I have never read that series before but if it's like Wintersong then I need it on my TBR! I really need to pick this up, from the sound of it! I'm hearing so much positive stuff. Believe what you're hearing because this book is amazing! I love that the author admits to being a pantser. I know I am for the most part, although the only story I've finished I did have an almost full outline for. I also love Mulder and Scully from the X-Files so she's won me over with that! Great interview! I'm somewhere between a pantser and a plotter. JJ is absolutely awesome and I hope that you enjoy this book! Great questions Brittany and lovely post. Wintersong is wonderful, I'm so excited for the sequel. Thanks for stopping by and I hope you enjoy this book. This is a fantastic interview! Great questions, Brittany. And I LOVE The Golden Compass. I'm so excited Philip Pullman is writing more in the His Dark Materials universe!